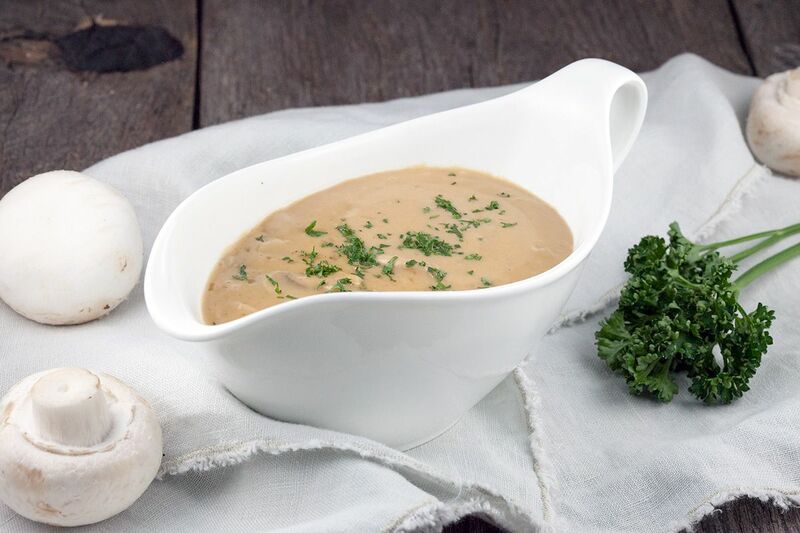 A mushroom cream sauce is best when home-made. Ready in just 15 minutes, delicious with various meats such as a beef schnitzel. Recipe for 4 people. PEEL the onion, then slice into small chunks. 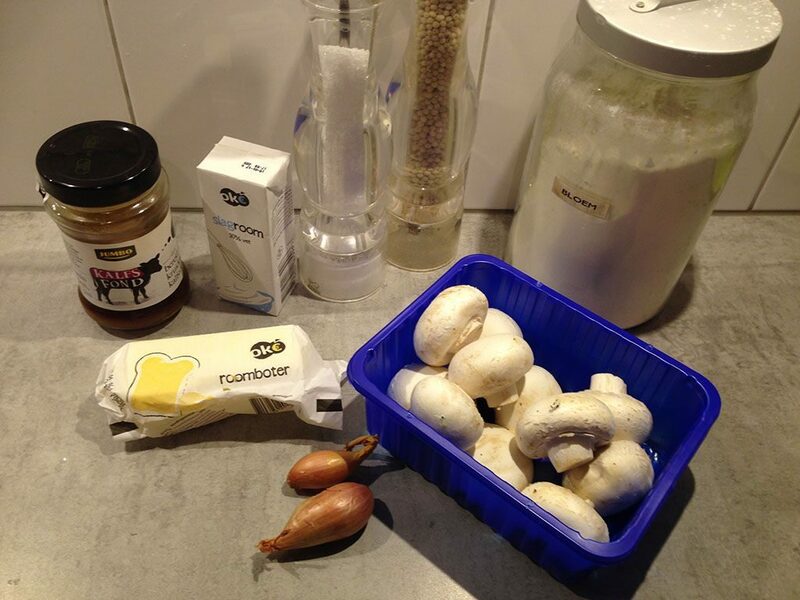 CLEAN the mushrooms using a mushroom brush or paper kitchen towel. THINLY slice each mushroom. MELT butter in a medium-sized pan and sauté the onion for a few minutes. ADD sliced mushrooms, cook for 5 minutes. 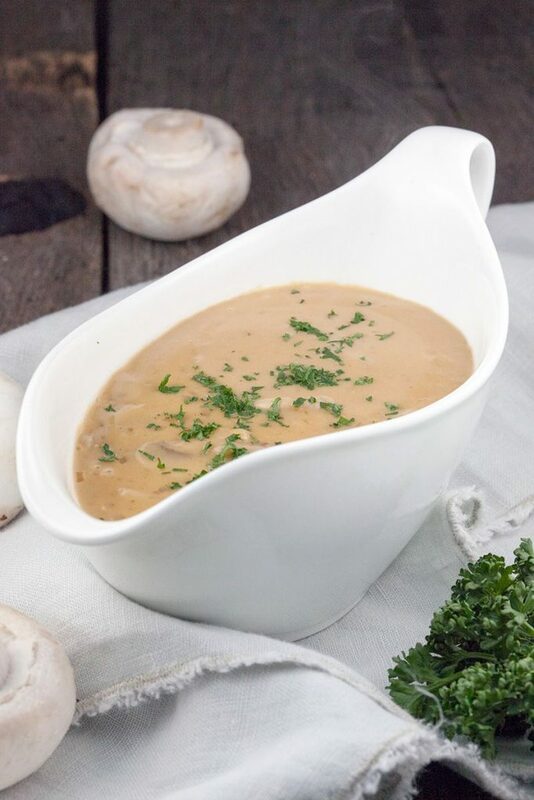 You’ll notice moisture starts to separate from the mushrooms, this will give the mushroom cream sauce its flavour. ADD flour and cook for a few minutes. The combination of the flour and butter is also known as a roux. A roux acts as a thickening agent. POUR beef stock into the pan and bring to a boil. ADD the heavy cream and keep stirring until a smooth sauce appears. SEASON with salt and pepper. 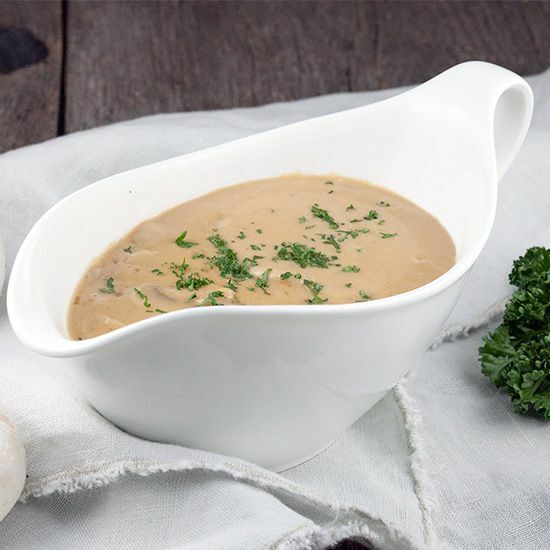 Serve the mushroom cream sauce with various meats, such as a beef schnitzel. Enjoy your meal! I love mushroom sauce/gravy though I notice that you used the word ‘bake’ to refer to cooking the mushrooms on the stove in the pan. I wonder if you might mean fry or saute. Ah yes, i’ve altered the recipe. We’re not native English speakers so some words can be interpreted wrong :) Thanks!